OSWEGO, NY – Kingsford Park students from Mrs. Moxley’s fifth grade class had the chance to tour the Oswego Middle School Communications Technology Program. Earlier in the year, the students had a chance to tour OMS, where they were given the opportunity to observe an eighth grade broadcast of The Daily BUC. Recently they returned to OMS and spent some time working with technology teacher Jason Bauer as he taught them how to broadcast a news show. 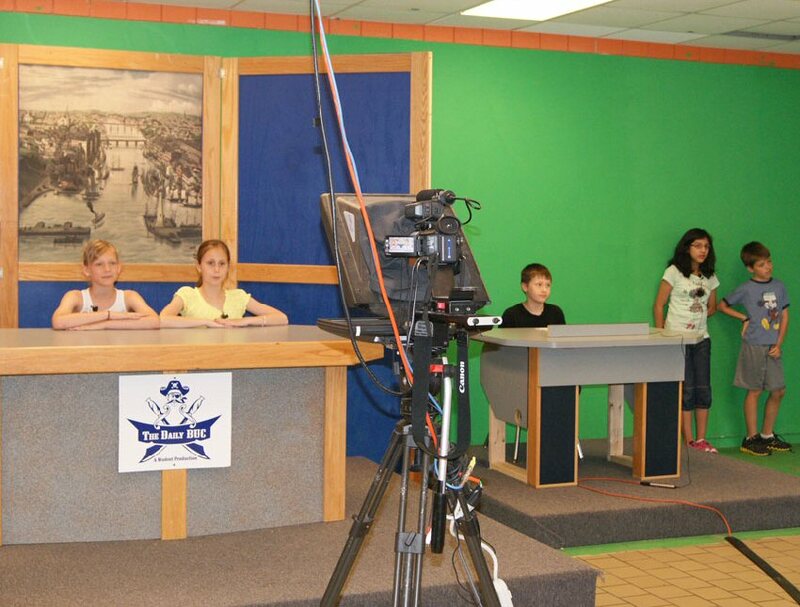 Students learned hands-on skills to prepare, create and capture a television broadcast. The students took turns running video and audio equipment, teleprompters, editing software and they worked on public speaking skills as they anchored the show. The recorded episode aired June 3 to the entire middle school staff and student body.